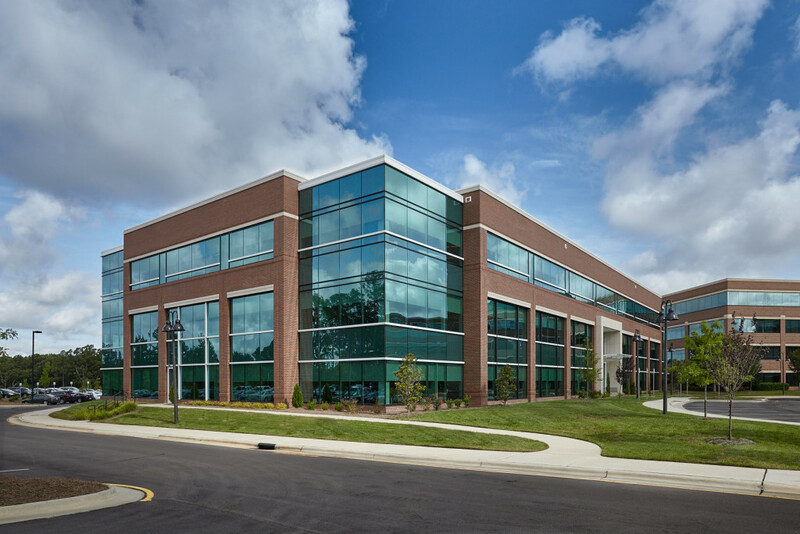 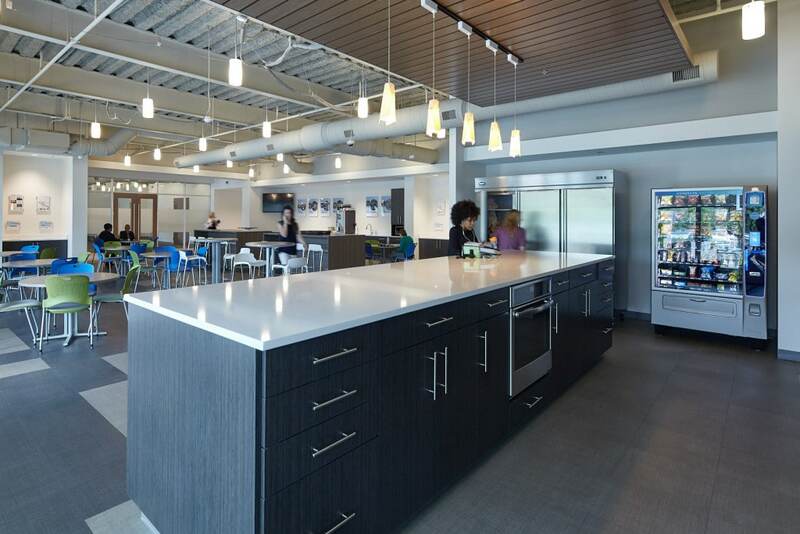 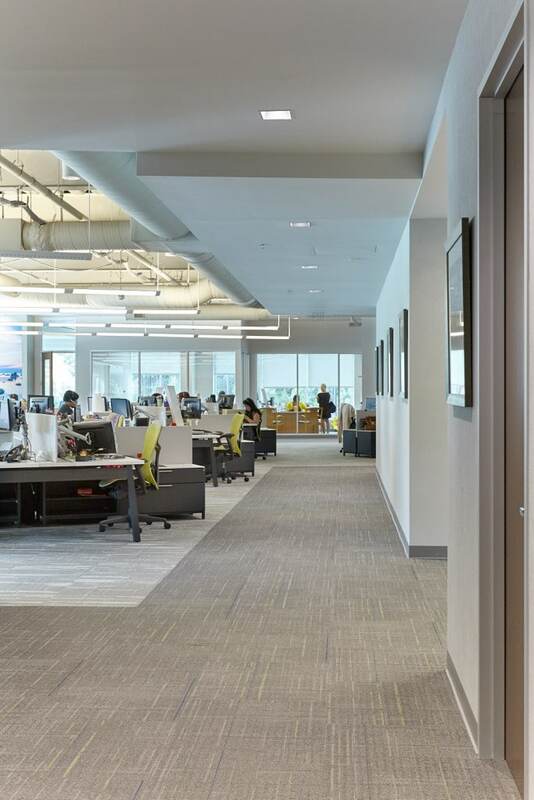 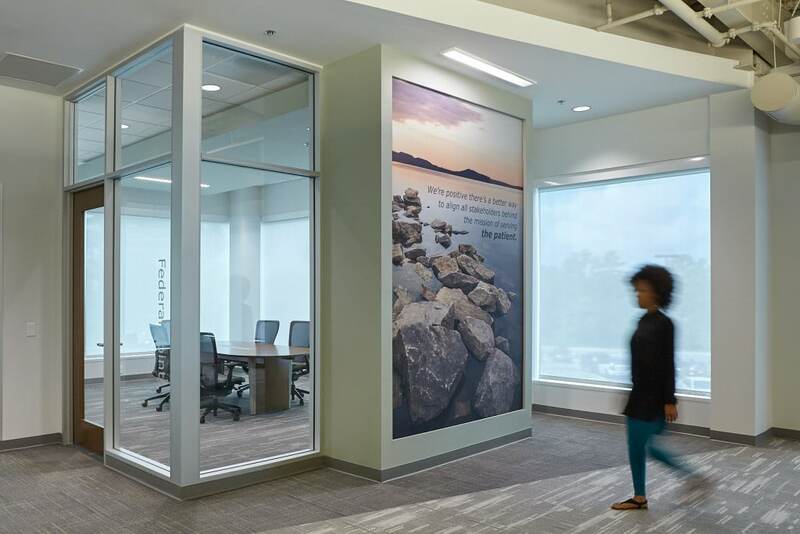 Completed in 2015, this 75,000 SF three story LEED Certified office building is the second in an existing three building master planned office campus. 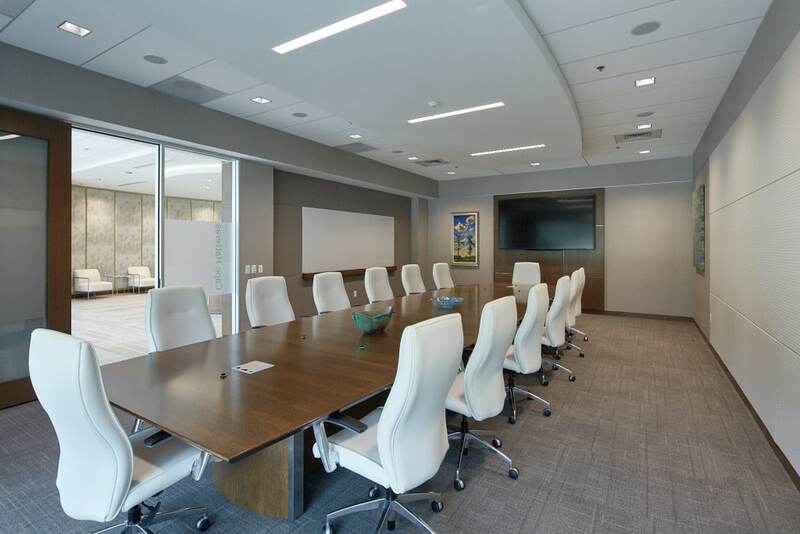 Borrowing materials and details from the first building, 11800 Weston complements the adjacent building while bringing fresh design elements, lighter proportions and an open and more vibrant feel for the tenant. 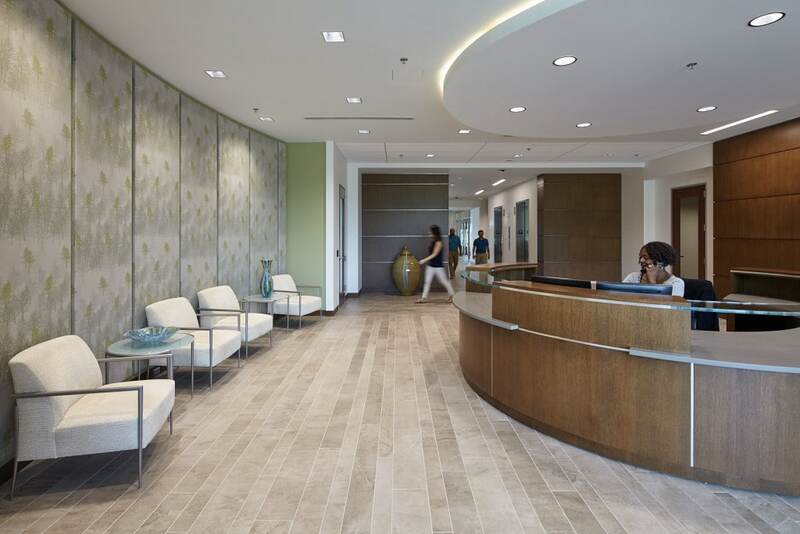 Home to Biologics, a rapidly growing oncology care company, the interior design theme is a clean tailored design with subtle accents. 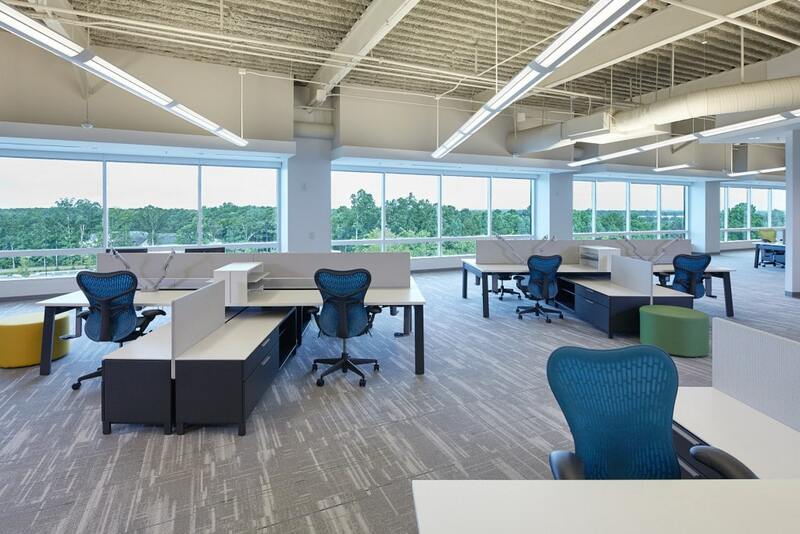 The upper floors have flexible open workstations with exposed structure creating a spacious, bright work environment. 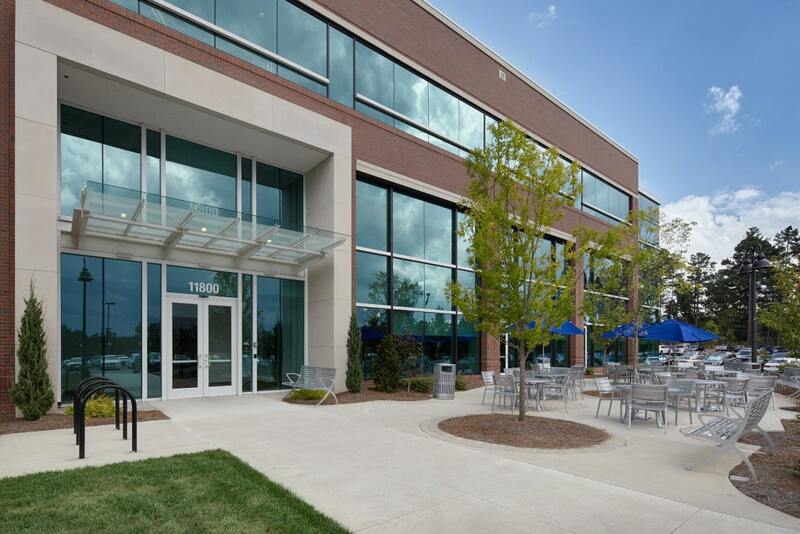 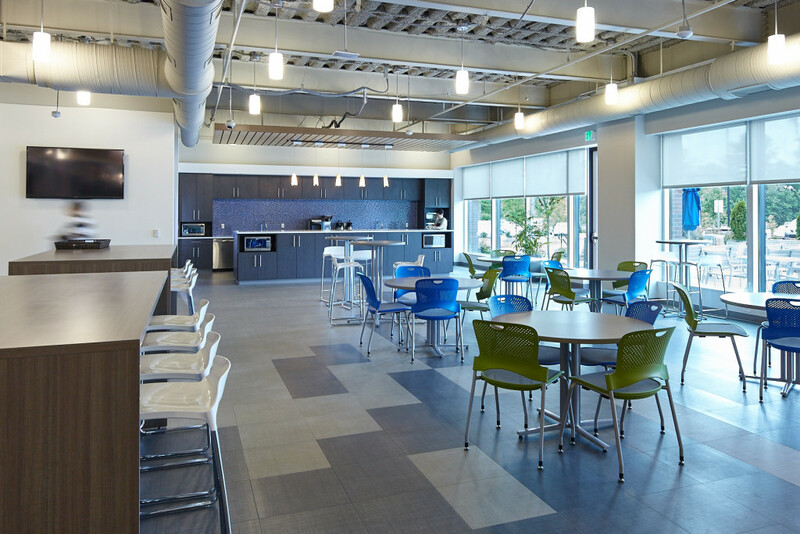 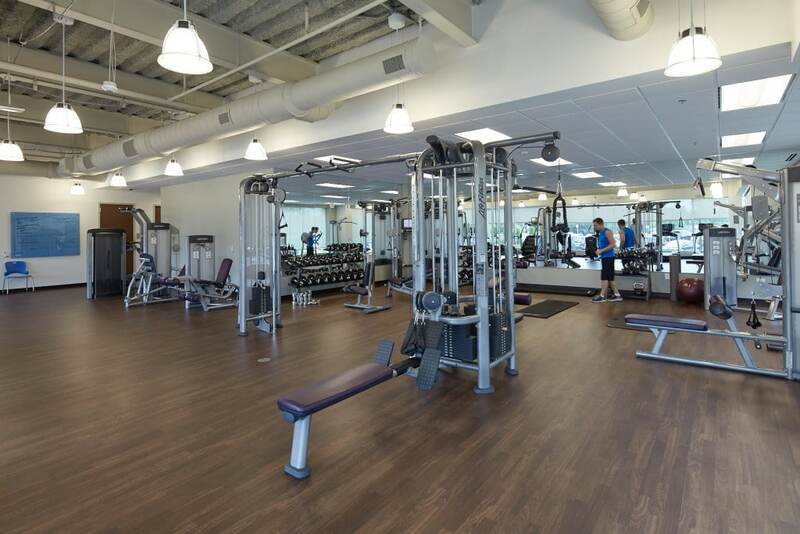 The main floor houses the many core functions including a large employee café and training area which opens to a well landscaped patio, a fitness center, and several conference rooms with full AV functionality. 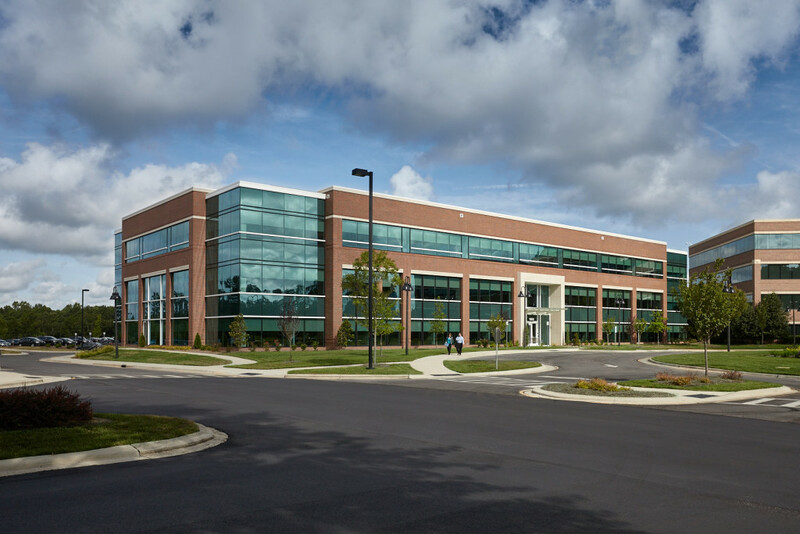 The campus has a direct connection to the Cary Greenway which provides occupants easy access to walking trails around Lake Crabtree.